ANSWER: Cronyism, Elitism, Division – QUESTION: How to get a #prolife law passed in #Ohio. The Heartbeat Bill has been introduced again at the Ohio Statehouse for the THIRD time…why so many times? Because legislators who PROMISED to get this bill through has been shaken down by Ohio Right to Life….for the THIRD time. The Coward-in-Chief Senate President Keith Faber said today: “What you’re doing is saying you’re risking throwing out all of the things we’ve done to save babies in exchange for having a political argument.” Sounds awfully prideful? Faber had promised to back this Bill and turned; he ultimately lied to every person who voted for him. Wouldn’t you think that Ohio Right to Life would be square behind a bill that would save so many babies? Then, what’s their problem? Easily, if there isn’t so much to do then they stand not to get the donations they need to stay ‘alive’; their political pull and necessary legislators would all go away. ORTL bellows about the constitutionality of the Heartbeat Bill but it’s ORTL who says they want to overturn Roe which seems awfully contradictory. ORTL makes absolutely no sense and has since caused great division, cronyism and elitism in the prolife community in Ohio. ORTL has proven they are not prolife. 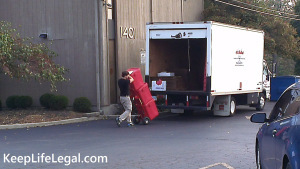 Three tubs of aborted babies, now medical ‘waste’. And in the meantime, Ohio Right to Life mafia has been picking off our so-called prolife legislators to not back a bill that would save 96% of unborn babies but is behind a 20 week ban that was recently introduced. Do the math: The last report for abortions in Ohio states that 0.7% abortions occurred at 20+ weeks which breaks down to 173 babies died from three to four day late-term abortion procedures in 2013. However, 23,036 babies were aborted before 20+ weeks. SO, a 20 week ban would have saved 173 babies; the Heartbeat Bill would have saved about 22,280 which is SIXTY ONE BABIES PER DAY. Save 173 or 22,280? 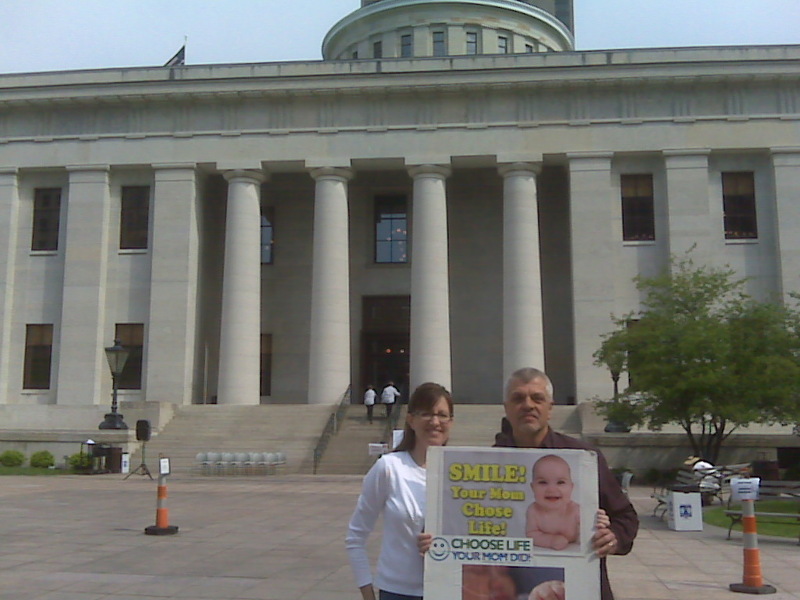 “The 20-weeks bill is among the priorities this session for Ohio Right to Life…”. There you go. Ohio Right to Life would rather save 173 babies rather than nearly all of them. That is irresponsible and damnable. “While claiming to be pro-life, Ohio Senate President Keith Faber is using his powerful position to speak out against the most protective pro-life bill in the Ohio House of Representatives. 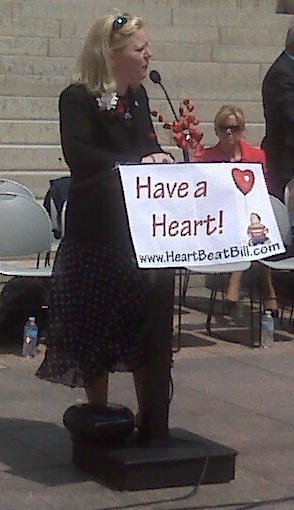 The Heartbeat Bill, H.B. 69, was re-introduced this week in the Ohio House with 50 co-sponsors–enough to pass the bill. Once law, the Heartbeat Bill will protect unborn children whose heartbeats can be heard. “Senate President Keith Faber claims that passing a bill to protect children could somehow hurt the effort to protect children—it’s absurd.” stated Janet (Folger) Porter, President of Faith2Action, who initiated the Heartbeat Bill. “Call Senator Faber at 614-466-7584 and ask him to be consistent: use the same indicator of life for babies that we use for everyone else,” added Porter. If you have voted for a prolife legislator that is not backing every bit of prolife legislation that crosses their desks, call them, email them. YOU have a right to know why they are NOT doing their job and demand they do what they were elected for. Next post#TOLERANCE BYTES: Who is that one guy who preached against abortion? or, The Audacity of Matt Chandler.